MERIGOLD - Aline Mann-Fowler, age 92, of Merigold, Mississippi passed away on Wednesday, December 5, 2018 at the Walter B Crook Nursing Home in Ruleville, Mississippi. Visitation will be held Saturday, December 8, 2018 from 11:00 AM to 1:00 PM at the Cleveland Funeral Home in Cleveland, Mississippi. Funeral Services will be held 1:00 PM Saturday, December 8, 2018 in the Cleveland Funeral Home Chapel. Burial will follow in the Merigold Cemetery. Her grandson Michael Doyle will officiate the services. Aline was born on July 13, 1926 to William and Mattie (Hoskins) Minter in Vine Grove, Kentucky. She married Leroy Mann. They lived in Arkansas and Kentucky for many years until moving to Mississippi in the 1950's. Aline was a homemaker for her 8 children. In later years she worked at Baxter Laboratories and Irvin Industries. She was of the Baptist faith. 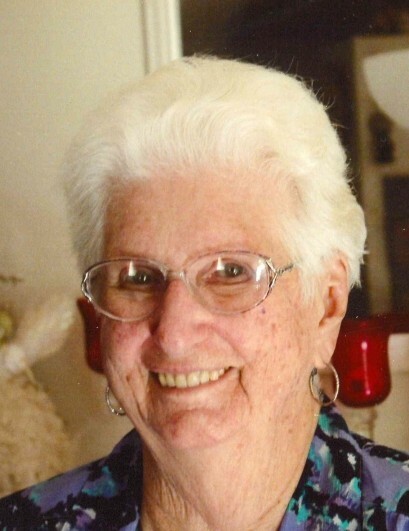 Aline loved to embroidery, make quilts, reading and loved spending time with her children and grandchildren. She is preceded in death by her father and mother, husband Leroy Mann, 2 sons, Carl and Galen Mann, 2 brothers, Burnard and Wain C. Minter, 1 grandson Gerald Mann. She is survived by 7 children, Roy Lee (Ruth) Mann of Greenwood, MS, Jean Doyle of McComb, MS, Twyla (Bill) Hunter of Cleveland, MS, Nora (Ricky) Cross of Merigold, MS, Libby (Larry) Richardson of Concord, NC, Laqueita (Frank) Adkins of Merigold, MS, and Terry (Debby) Mann of Iowa, LA. 21 grandchildren, 47 great grandchildren, 40 great great grandchildren and a host of nieces and nephews. Pallbearers are her grandsons, Larry E. Richardson, Bobby Richardson, Shane Richardson, David Herrin, Jason Williams and Galen Williams.